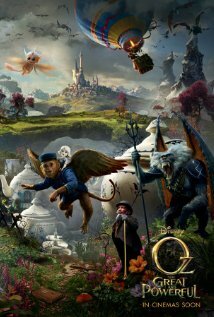 The Lorax - It was pretty good. I actually enjoyed it more than I thought I would. The Hunger Games - Did not let me down. Jennifer Lawrence did a great job. Excited for the next one. Mirror Mirror - Wasn't that great. The Avengers - Great movie! Really enjoyed myself. Keep those comic book movies coming (and they are). Snow White and The Huntsman - Boring. It was ok.
Brave - I wanted to like this movie. Didn't happen. And it even just won a Golden Globe. Eh. Her hair was amazing. The Dark Knight Rises - What a great movie, possibly my favorite of the year. Nolan knows what he is doing and Christian Bale is the best Batman ever. Anne Hathaway actually made out to be a great Catwoman. Tom Hardy did a great job with Bane, but I think we all missed Heath Ledger as the Joker. Great conclusion. Sad to see the movies end. 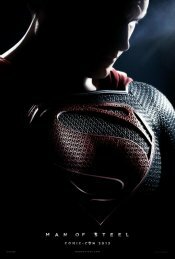 Let's hope Superman this year will surprise us all with a great flick. The Hobbit - Yeah! I really enjoyed the first installment of The Hobbit trilogy. I too was kind of disgusted by the fact that they were turning it into 3 movies. The Hobbit is a pretty short and straight forward book, but I like the fact that they are building up on the Lord of the Rings and providing some nice background too. Very well done, didn't notice anything weird with the speed of the filming. A little more reach for humor in this movie than the Lord of the Rings movies it seemed like to me. And the little messenger goblin on a zip line - what were they thinking? Les Miserables - Very well done. Great story, great cast, and it was perfect. The Amazing Spider-Man - Even though I don't believe that this should have been remade so soon, it was actually really good. Liked the cast a lot in this one. Don't get me wrong, I actually still really like the Toby in the first ones, but Emma Smith is a nice upgrade. MIB3 - Out there fun. A nice ending. I didn't even get around to watching these movies: John Carter, Madagascar 3, G.I. Joe Retaliation (pushed back 'till March 29th - might still watch this if there is nothing else to watch from redbox and I have a free rental), Ice Age: Continental Drift, The Bourne Legacy, and The Great Gatsby (which was pushed back 'till May of 2013 and is no longer on my list - it is going to be trashy). I did see the first 30 minutes or so of Continental Drift (wasn't great). Still would like to see John Carter and The Bourne Legacy. Also, still need to see Lincoln and Life of Pie. Now that we have that out of the way, bring on what is upcoming this year! 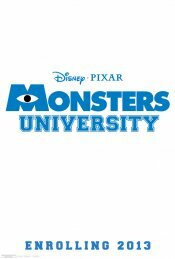 January 25th - This will be a "redbox movie" when it comes out. 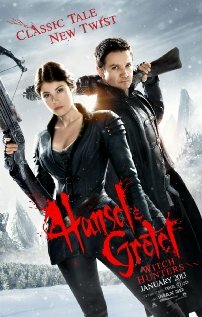 Could be a good time, especially with Jeremy Renner and Gemma Arterton as leads. March 8th - Again, big stars and should be pretty cool. Visually will be great and I enjoy a good background story. They could make a really great one here. Hope it doesn't turn out to be a flop. 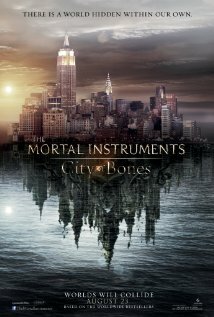 March 29th - Now that Stephenie Meyer is done with her twilight movies (for now...) movie makers must feel the obligation for some reason to make all of her books into movies. I would like to watch this one just out of curiosity. From the trailer, I can foresee this type of story line to be more interesting to me than vampires. 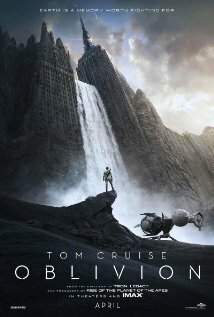 April 19th - Tom Cruise is not really a great actor, but this movie looks like one that I could enjoy. 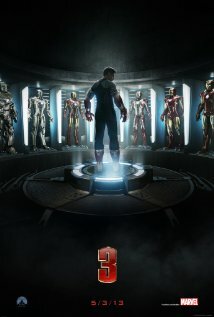 May 3rd - Iron Man being my favorite of the marvel characters in The Avengers, I am definitely excited for this one. Also, Ben Kingsley is one of my favorite actors, and to see him as the villain this year will be grand. 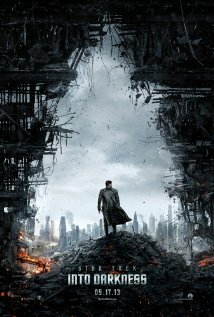 May 17th - Has it already been 4 years since the last Star Trek movie? Remember that one? It was awesome, and with that cast returning and you throw in Benedict "Sherlock" Cumberbatch into the mix and you have yourself a sequel that could be even better! Very excited! 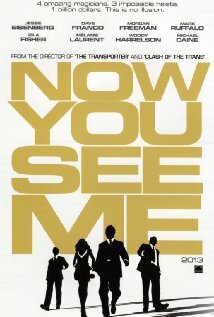 June 7th - An "Ocean's Eleven" type movie that has the big names such as Isla Fisher, Morgan Freeman, Mark Ruffalo, Michael Caine, and Woody Harrelson. Then you add magic tricks to the equation...nice! June 14th - It is about time for a great Superman movie, and I have faith that this will be it. A little worried about Amy Adams as Lois Lane, but I know that I will enjoy this one a lot! July 3rd - "It's so fluffy I'm gonna die!" July 3rd - Johnny Depp gets out his old Jack Sparrow makeup. Hi D Hoe Silver! July 19th - A snail who wants to win the Indy 500. After watching the teaser trailer, I can look forward to this one. 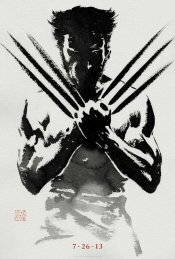 July 26th - The X-Men movies are great and so was the X-Men Origins Wolverine movie 4 years ago. Hugh Jackman is the perfect actor to play Wolverine - keep them coming. 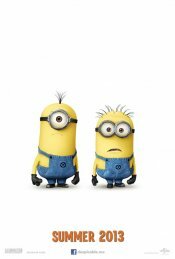 August 9th - What do you do when you feel just about done with movies about talking cars? 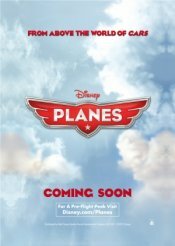 You start making movies about talking planes of course! 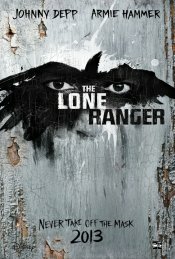 August 23rd - This one is similar to The Host; I am curious to see what they hype is all about. November 1st - Ender's Game finally hits the big screen this year. I was always a bit worried how this amazing book would translate to a movie (and I still am), but they do have some great younger actors (Abigail Breslin, Asa Butterfield, and Hailee Steinfeld) and Harrison Ford with Ben Kingsley doesn't hurt either. Excited to see how it all turns up. 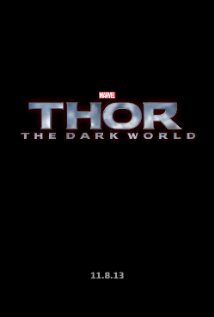 November 8th - Chris Hemsworth is back as Thor along with his girlfriend Jane (Natalie Portman). For Nathan who didn't like the first Thor movie, but loved the show Chuck - we will see if Zachary Levi can make this movie more enjoyable for you. 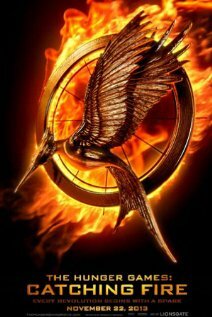 November 22nd - The second Hunger Games' book comes to life this November and it will be intense. The first movie adaption was pretty good and I'm sure this will be likewise. December 13th - The Hobbit: The Desolation of Smaug. Sherlock and Dr. Watson are at it again. These guys are great. 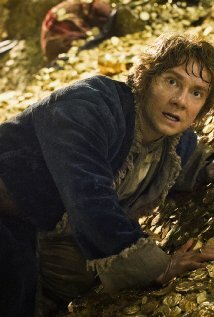 Martin Freeman continues his journey as The Hobbit Bilbo and Benedict Cumberbatch gets to be the bad guy yet again (see the Star Trek movie above this year) as he plays The Necromancer/Voice of Smaug. Going to be epic! The year starts off a little slow, but it sure picks up and that is How Lou Sees It. 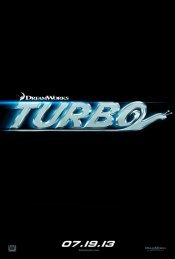 What movies are you looking forward to this year?